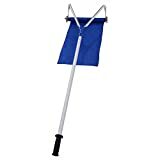 Save on Snow Rakes at Outlet Shopping Guru. Top brands include Roof Melt by KMI, MINNSNOWTA ROOF RAZOR, MinnSnowta Roof Razor, Goplus, Apontus, & justwintertools.com. Hurry! Limited time offers. Offers valid only while supplies last.